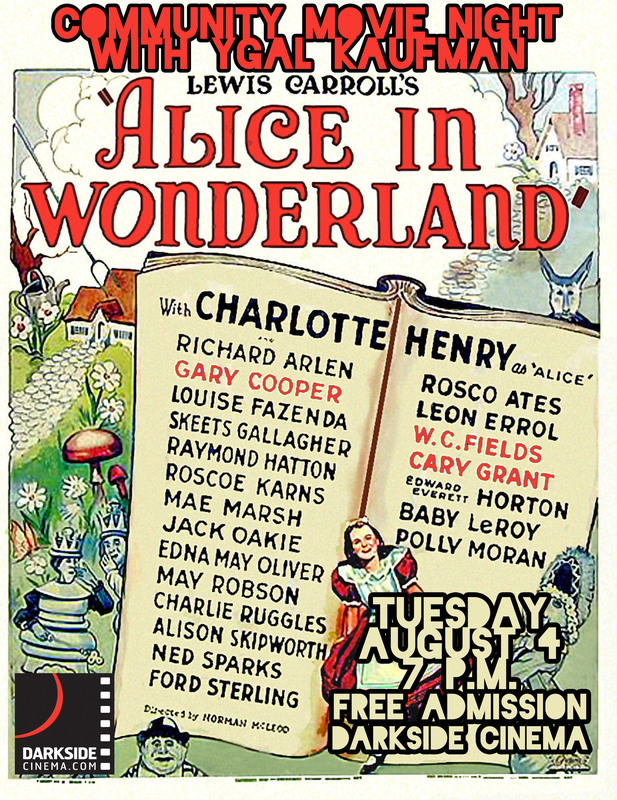 Next Screening: Alice in Wonderland (1933) starring Charlotte Henry, W.C. Fields, Gary Cooper, Cary Grant and Edward Everett Horton, directed by Norman McLeod. Never heard of this early and most faithful adaptation of Lewis Carroll’s ultra legendary novels? It’s not surprising, because for some weird reason, this masterpiece has been long forgotten by most. Lucky for you CMNYK never lets a classic die. How about W.C. Fields as Humpty Dumpty? How About Gary Cooper as the White Knight? How about Cary Grant as the Mock Turtle? All these treats and about a thousand more, including insane nightmare inducing costumes, special effects way ahead of their time, a gorgeous animated sequence and all the wonderful music your ears can handle. This wouldn’t be the worst screening to bring your kids to, but I’d make sure they know what to expect; you’re going to be on weird dream patrol for the next month. This CMNYK event is going down at the Darkside Cinema on Tuesday, August 4th, and the fun starts at 7:00 PM. As always, admission is FREE, but donations are welcomed and benefit the Darkside Cinema renovations. The show will be preceded by an intro from CMNYK curator and person who really doesn’t understand electronic dance music, Ygal Kaufman, as well as newsreels, shorts, cartoons and other vintage goodies from 1933 to make the experience extra authentic. See you all there! Directed by Lewis Milestone and starring Barbara Stanwyck, Van Heflin, Lizabeth Scott and (in his first film role) Kirk Douglas. This moody and incredibly atmospheric film noir tells the story of Martha Ivers (Barbara Stanwyck) and the deep dark secret she’s been hiding for nearly twenty years. When a face from her past, played by the great Van Heflin, shows up, all hell breaks loose.In addition to Douglas’ debut, this film is also a lesser known entry in the long and illustrious writing career of Robert Rossen, the brilliant writer and director of classics like All the Kings Men and The Hustler. 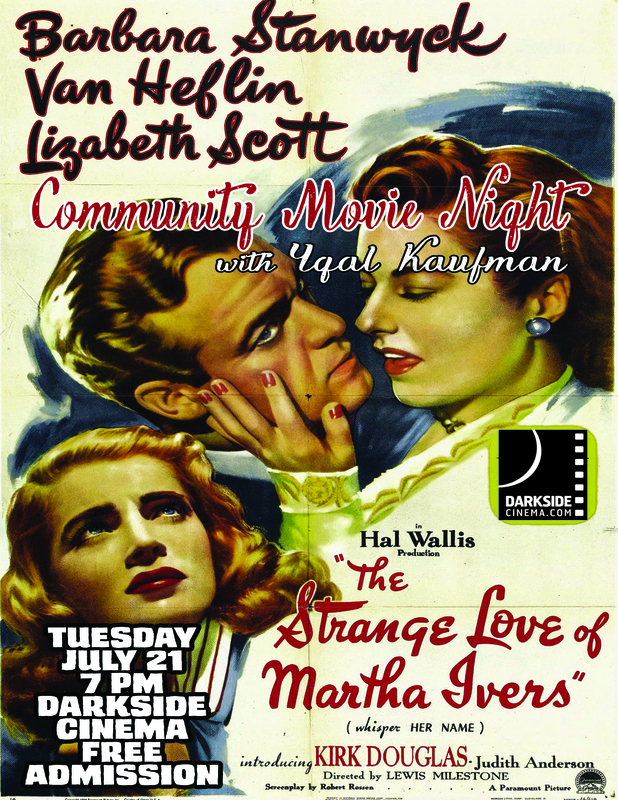 This CMNYK event is going down at the Darkside Cinema on Tuesday, July 21st, and the fun starts at 7:00 PM. As always, admission is FREE, but donations are welcomed and benefit the Darkside Cinema renovations. The show will be preceded by an intro from CMNYK curator and former junior varsity tennis player, Ygal Kaufman, as well as newsreels, shorts, cartoons and other vintage goodies from 1946 to make the experience extra authentic. See you all there! Starring Gary Cooper, Claudette Colbert and David Niven, directed by the incomparable Ernst Lubitsch. 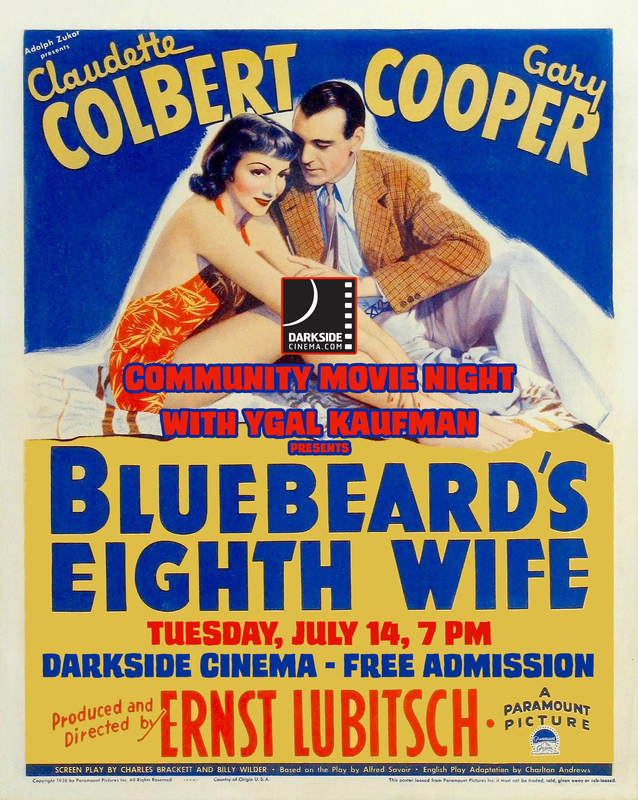 Cooper plays a handsome philanderer who learns a tough lesson from his wife in Lubitsch’s romantic farce, co-written by one of the greatest writer/directors of all time, Billy Wilder! This is the second adaptation of this story from a French play, the first film version was silent and starred Gloria Swanson. This is one of CMNYK’s most star studded outings, with some of classic Hollywood’s biggest legends both in front of the camera and behind it, and sets the tone for a wild second year of free classic and cult movies. This CMNYK event is going down at the Darkside Cinema on Tuesday, July 14th, and the fun starts at 7:00 PM. As always, admission is FREE, but donations are welcomed and benefit the Darkside Cinema renovations. The show will be preceded by an intro from CMNYK curator and firm believer that we did land on the moon, Ygal Kaufman, as well as newsreels, shorts, cartoons and other vintage goodies from 1938 to make the experience extra authentic. See you all there!